Commenced by the Canadian Federal Government and Government of Quebec, the Quebec Skilled Worker Program or QSWP is the program that enables the trained, skilled and higher qualified foreign nationals to immigrate to the Quebec to join the skilled workforce of the nation. The eligible applicants who apply for the Quebec Skilled Worker Program are assessed based on different factors and they need to score highest points in the Quebec Selection Certificate so that they can apply for the Canadian PR Visa. In order to qualify for the Quebec Skilled Worker Program, the applicant needs to score minimum points so as to qualify. The applicants need to score 50 put of 100 points and for couples they need to score 59 points out of 100 points. How to Application is Evaluated? The applications of the applicants are evaluated based on different grid factors including the areas of training, education, validated employment offer, age, work experience, language proficiency, family in Quebec and more. Please note that criteria for the application are subject to change and hence it is necessary to check the changes at any time before applying. You need to know the latest developments in the immigration processes. What is Quebec Skilled Worker Program Points System? 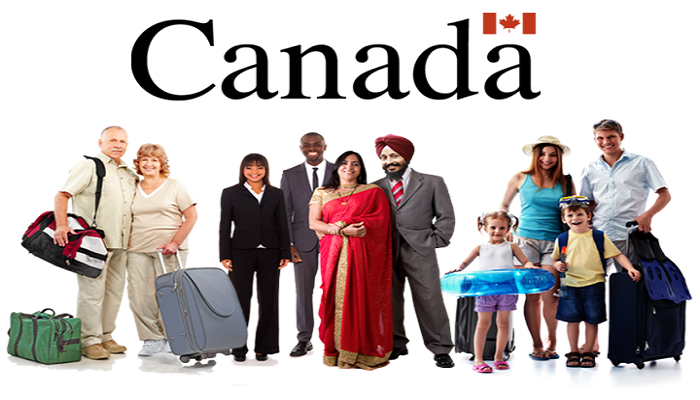 Quebec Skilled Worker visa Canada is the popular and leading immigration program which is designed to help the skilled professionals to immigrate to Quebec to join the skilled workforce of the nation. If you are the skilled professional who wants to immigrate to Quebec and your skills match the in-demand occupations listed in the NOC in Quebec, then you need to apply for the PR visa to Canada after getting the ITA from the Quebec Immigration Authorities. If you apply for the Federal Skilled Workers Program and become eligible, then you will receive the Quebec Selection Certificate. After receiving the selection certificate you will become eligible for applying for the Canada PR Visa and hence you can start preparing for moving to Canada under the Quebec Skilled Worker Program. After you enter the province, you are required to undergo the police and medical clearance examination and after that you need to secure the Canadian PR Card. As mentioned, the applicants need to score highest points above 50 points out of 100 in order to become eligible for the Quebec Skilled Worker Program. However, in the Quebec Skilled Worker Point System the couples need to score more than 59 points out of 100 points to become eligible for the QSWP. According to the national Express Entry Program the skilled worker Quebec Program Points are calculated based on the skills and occupations categorized by the National Occupations Classifications. The skills of the applicants are regarded in high demand based on the labour marketplace of Canada and they are given higher priority over the others in the point calculators. Apart from the common factors, there are also other factors that are considered in assessing the viability of the applicant for the Quebec with PR Visa. After I am done with ECA assessment and IELTS, how much time till I get the PR to Canada,? Canadian Experience Class skilled worker Quebec Program. permalink.